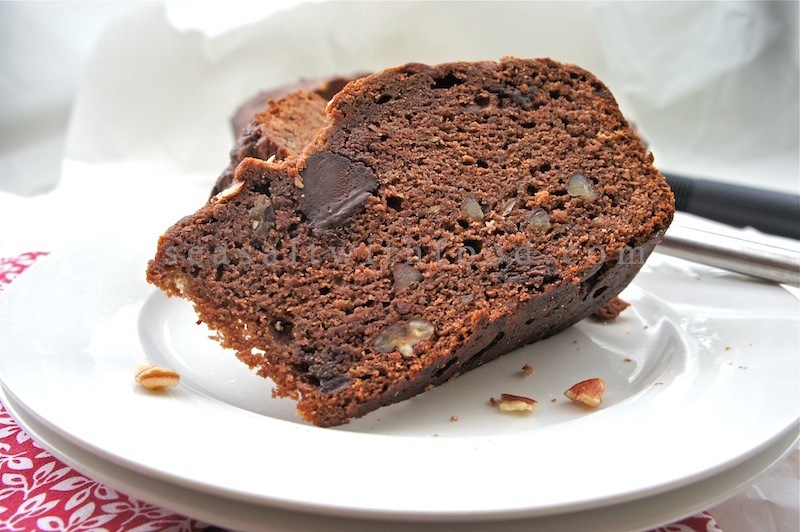 You must try baking this Chocolate Banana Nut Bread. It’s so easy to prepare, just use a whisk to mix the dry ingredients, and a spatula to fold the batter. 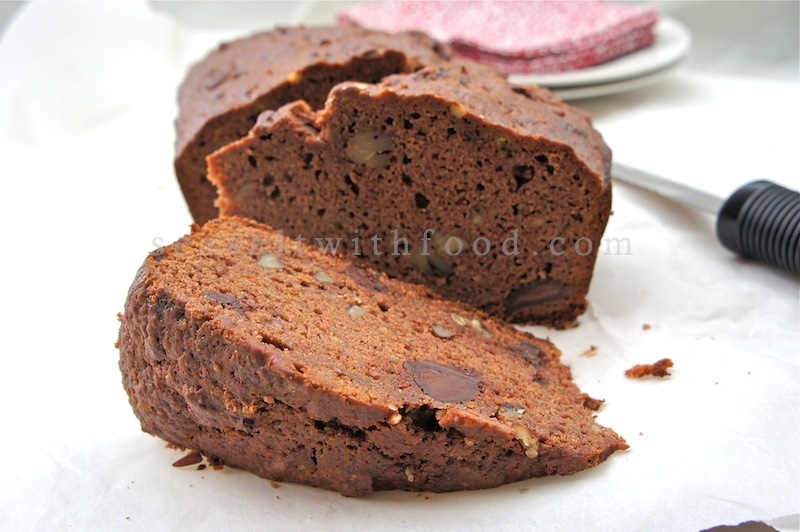 The smell and taste from the combination of bananas, chocolates, and pecan nuts was just wonderful. 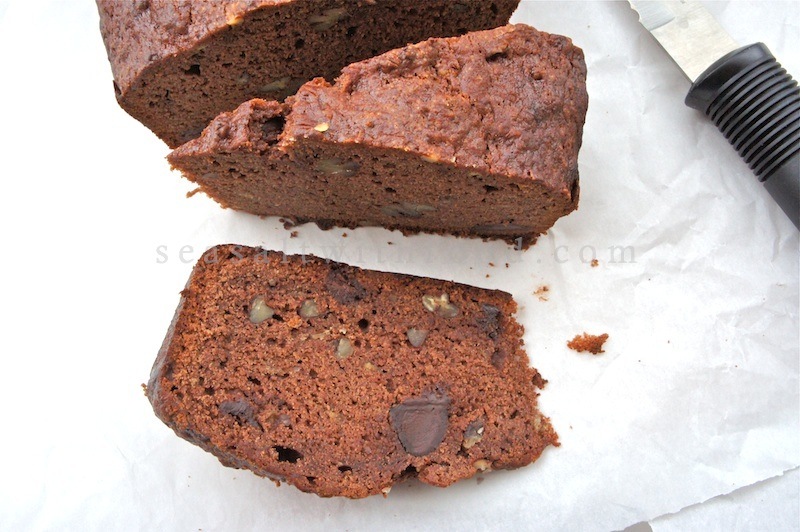 This is definitely my favorite new banana bread recipe! Preheat the oven to 350˚F or 180˚C. Butter and flour a 9 x 5 x 3 inches (23 x 13 x 8 cm) loaf pan. In another bowl, combine the mashed bananas, eggs, melted butter, and vanilla. Lightly fold the wet ingredients into the dry ingredients with a rubber spatula until just combines. Fold in the nuts and chocolate chips. Scrape the batter into the prepared loaf pan and bake until a toothpick inserted in the center comes out clean, about 55 to 65 minutes. Place on a wire rack to cool and then remove the bread from the pan. Serve warm or a room temperature. Gosh! Taste so good! Thanks for sharing the recipe. Yummie!!! Gotta save this recipe. Choc + banana + nuts = can't go wrong!! !